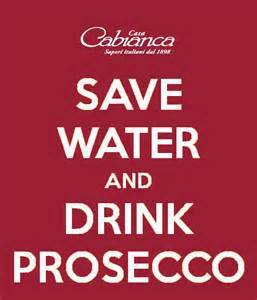 Someone mentioned to me last week that there was shortage of prosecco - first I'd heard about it. 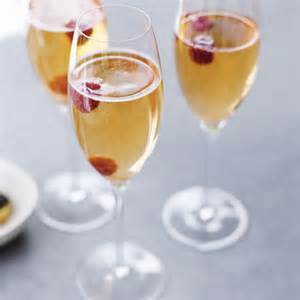 There is no doubt this Italian fizz is a favourite in our household and not only among the older adults. The youngsters love it too. Infact, a highlight of last year's summer holiday in Tuscany was a discovery by the 20 somethings in our party that they could buy a a bottle of prosecco for 2 euros from the local supermarket. They lived on it for a week! So has the prosecco all gone? Yes, according to the national food and drink magazines. There really could be an impending global shortage of our favourite fluted tipple and I can confirm that it is a national favourite! 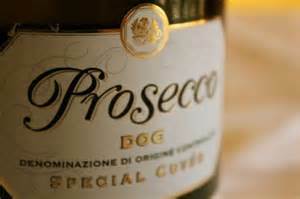 We Brits have in recent years have taken more than a simple fancy to prosecco. We guzzle the stuff by the bucket load – even sampling the odd glass from taps as we would a cold beer, or pint of West Country cider. 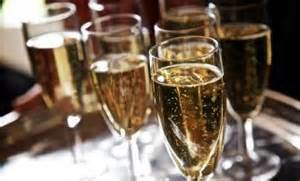 Sales of prosecco were up by a staggering 75 per cent in the UK last year. We spent a whole £1 billion on the Italian fizz, and for the first time it overtook sales of Champagne. Leading import company Bisol has confirmed that the UK buys more of it than even Italy does. Deputy editor of The Drinks Business, Lucy Shaw, told the Telegraph more about the nightmare situation: “It's difficult to tell at this stage which way the pendulum will swing, but last year's prosecco harvest was significantly down on 2013. The DOC region was the worst hit, meaning the problem will impact most on entry-level rather than top tier DOCG prosecco.” With global demand for the Glera grape (that's the one makes prosecco) at an all-time high, Shaw really believes it could be that there won’t be enough of the Italian bubbles to go round – at least at their current super-cheap price points. “We’re likely to see the end of sub-£6 prosecco in the UK, so lovers will have to be prepared to spend a little more,” Shaw explained. Adam Porter, from wine importer Jascots, told the newspaper that he was aware of the situation, and the company was preparing for the summer drought. “We are aware of the short harvest across the prosecco region and have made arrangements with our partner to ensure our on-trade clients are kept in stock,” Porter told the Telegraph reporter. However, he did concede that while Jascots is well-placed to continue its supply, it has also launched another sparkling Italian wine, VinoVispo. Who knows how that brand will do. If you are a panicking prosecco drinker then remember that there are countless other great fizzes to enjoy with your barbecue other than our favoured Italian prosecco. 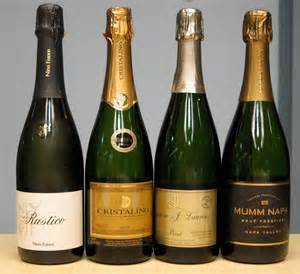 Spanish cava, Cremant d'Alsace from France, and even sparkling wines from Australia, New Zealand and Blighty itself all do the trick. It seems it's about time we tried a change. Because, well, it appears we’ve drunk all the prosecco.